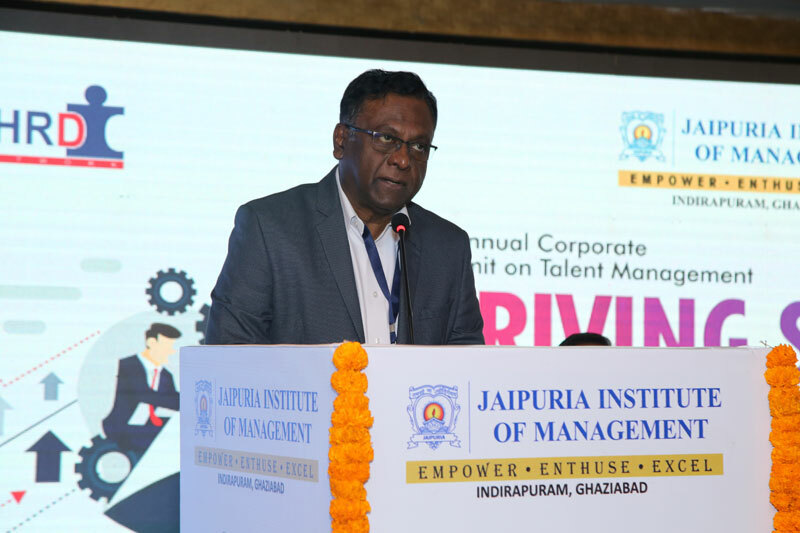 Talent management seeks to attract, identify develop, engage, retain and deploy individuals who are considered particularly valuable to an organisation. 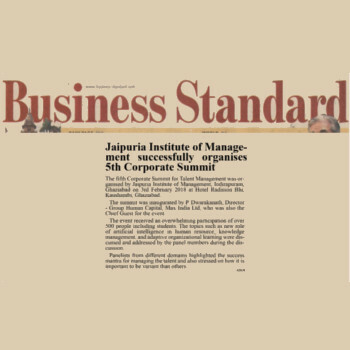 By managing talent strategically, organizations can build a high performance workplace, encourage a learning organisation, add value to their branding agenda, and contribute to diversity management. 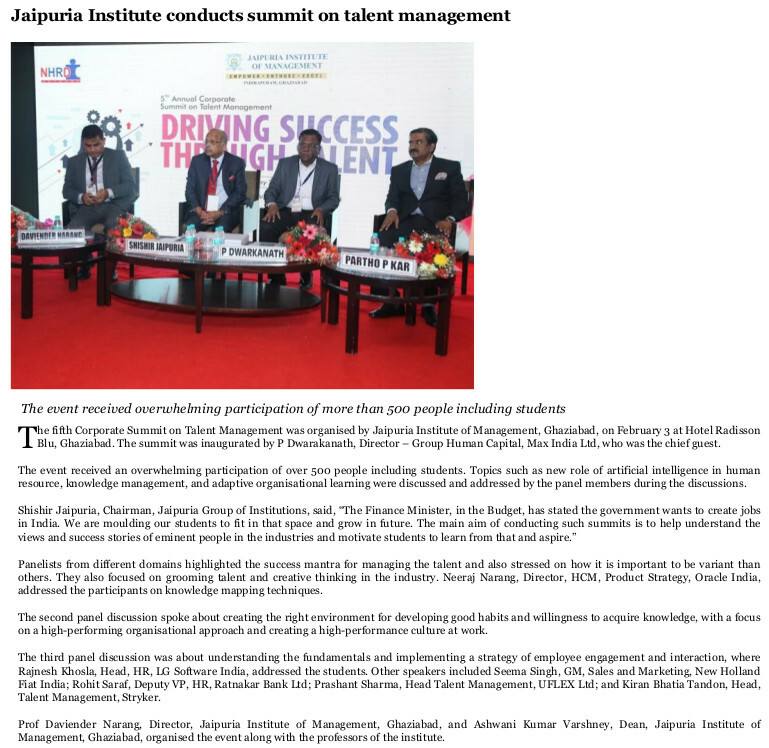 For these reasons, HR professionals widely consider talent management to be among their key priorities. 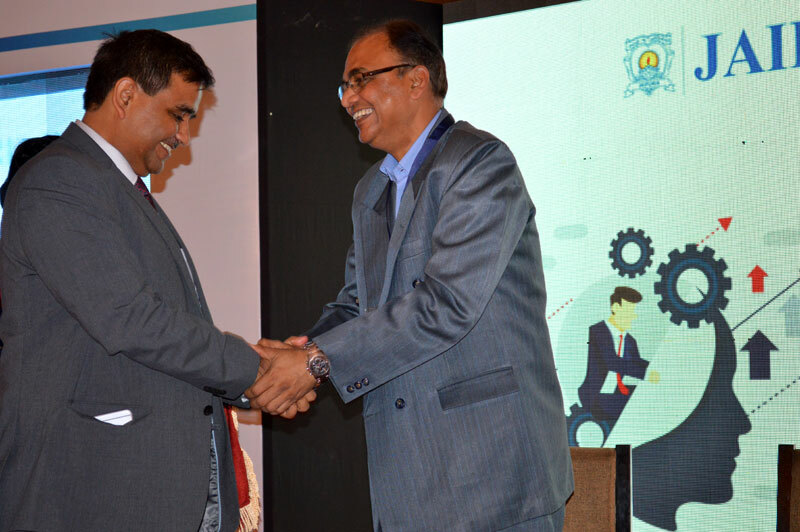 It is a holistic strategy for hiring, training and retaining top performing employees. 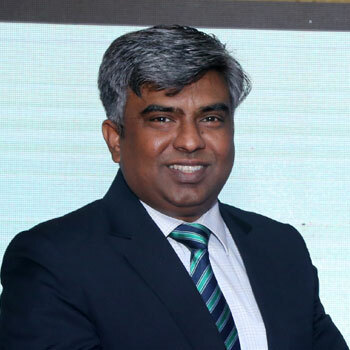 Experts say that it is ” a set of integrated organisational HR processes designed to attract, develop, motivate, and retain productive engaged employees. 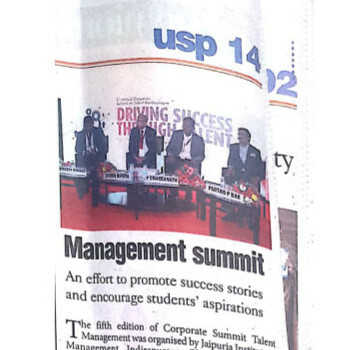 With an aim to provide a platform for sharing best practices, insights and industry experiences, the 5th Corporate Summit on “Talent Management: Driving Success Through Talent”was hosted by Jaipuria Institute of Management, Indirapuram, Ghaziabad on 3rd February, 2018 at Hotel Radisson Blu, Kaushambi, Ghaziabad. 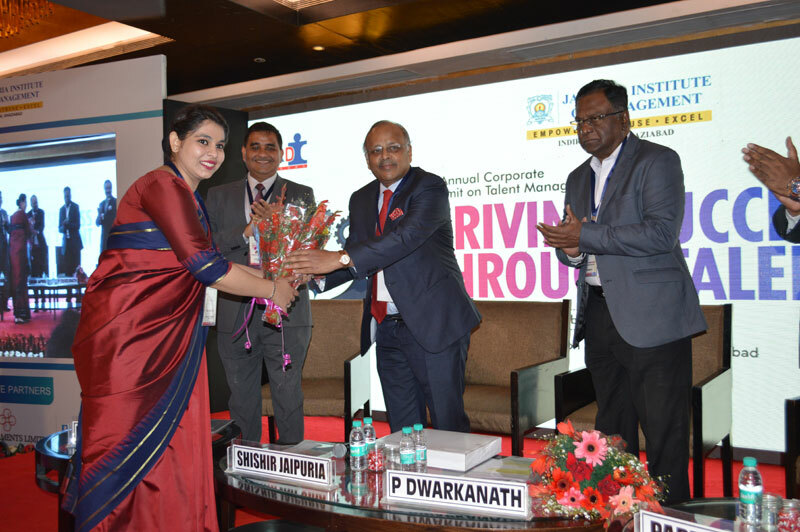 The Corporate Summit is a flagship event of the Institute. 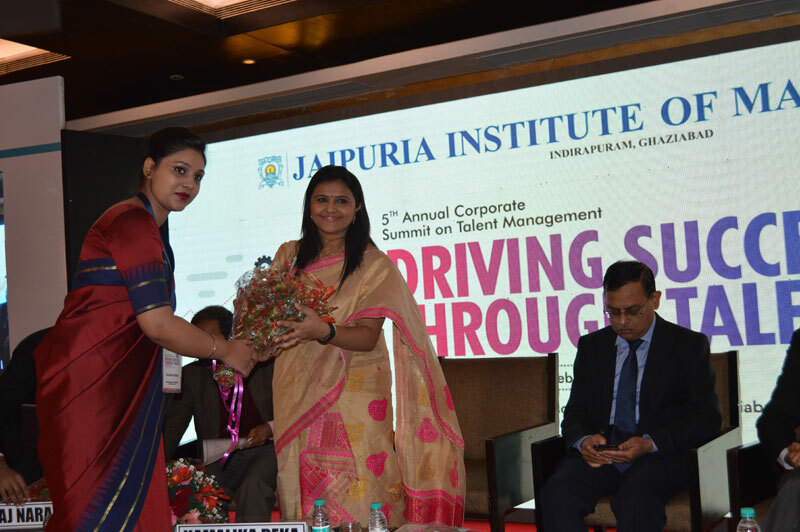 This annual summit is overseen by 500+ participants through 3 sessions taken up by 15+ speakers. 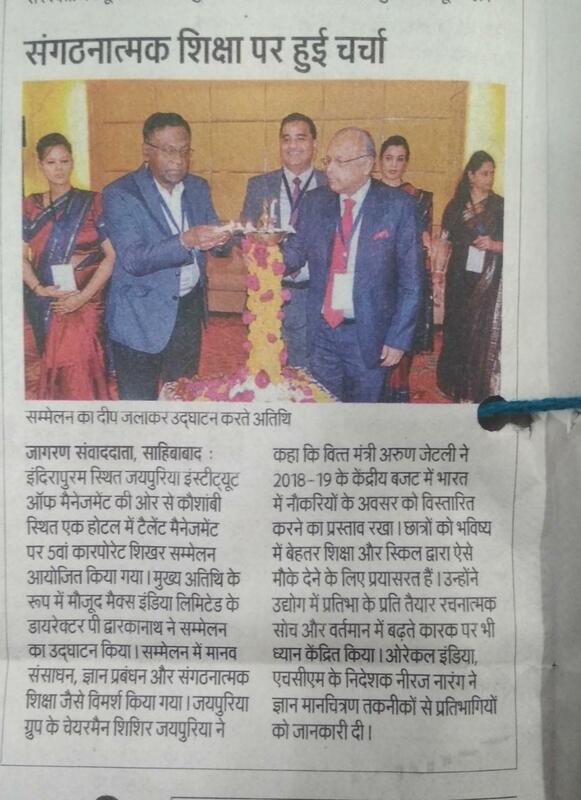 The summit was formally inaugurated by lighting of lamp by theChief Guest,Mr. 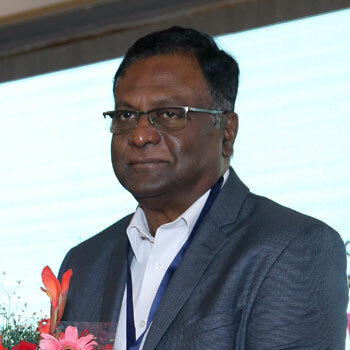 P. Dwarakanath, Director – Group Human Capital, Max India Ltd,Mr. 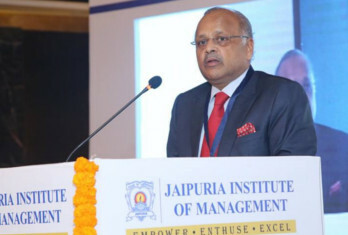 ShishirJaipuria, Chairman, Jaipuria Group of Educational Institutions,Prof. 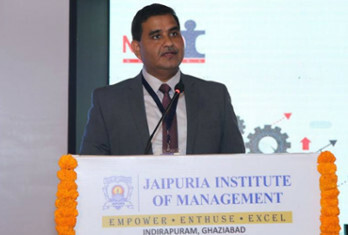 (Dr) Daviender Narang, Director, Jaipuria Institute of Management, Indirapuram, Ghaziabad, Mr. Partho P Kar, MD, Brookes Enterprises. 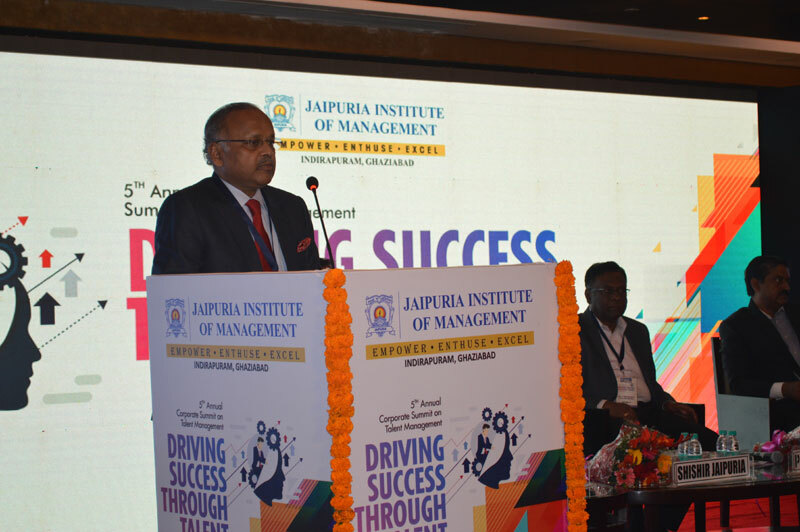 Mr. ShishirJaipuria, Chairman, Jaipuria Group of Educational Institutions welcomed all the participants and shared his views on the theme of the summit. 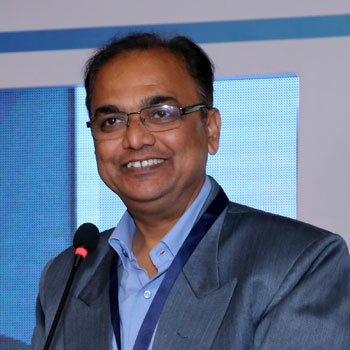 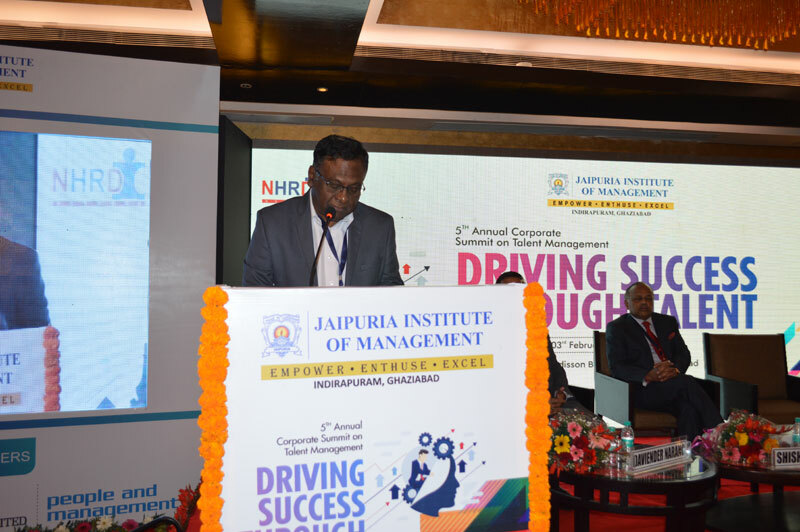 He said “Conceptualizing the talent requirements for the future is more critical than managing the existing talent for running the existing business.” Prof. (Dr) DavienderNarang, Director, Jaipuria Institute of Management, Indirapuram, Ghaziabad delivered theme address. 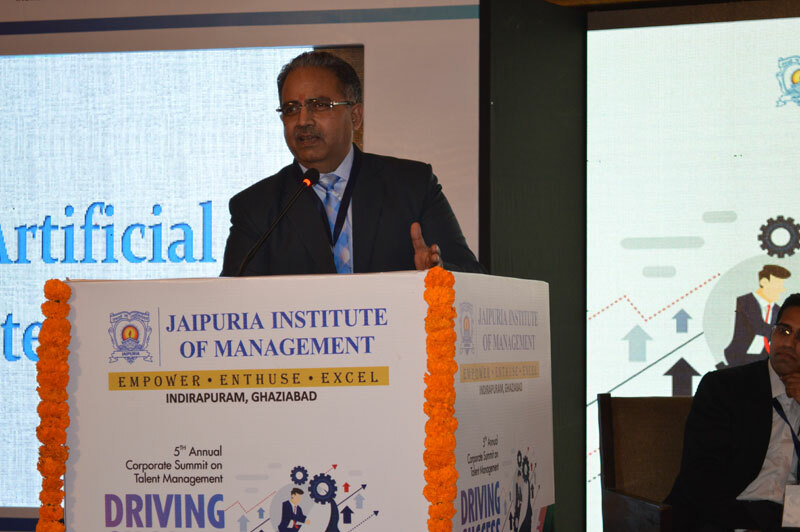 He stressed upon the success mantra for managing talent is to adapt, upgrade, modify change as per requirements and retain potential employees. 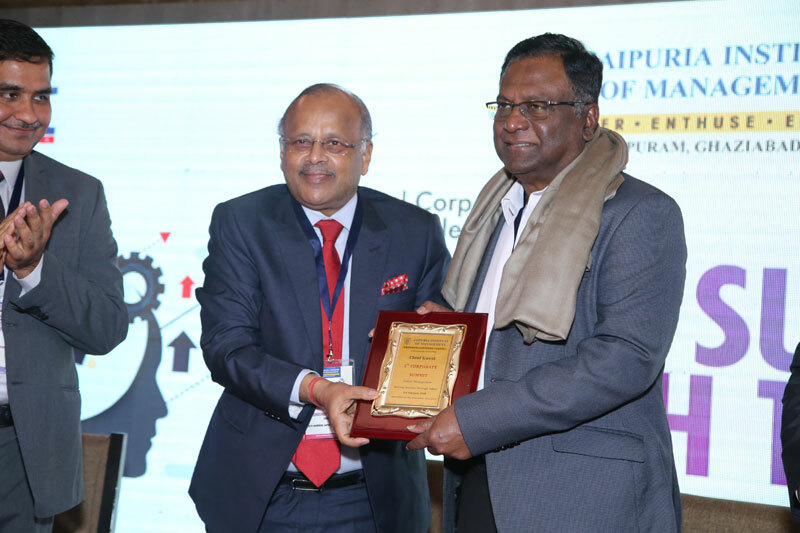 The keynote address was delivered by Mr. P. Dwarakanath, Director – Group Human Capital, Max India Ltd. 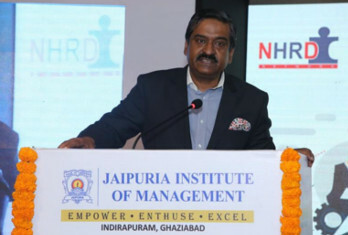 He said “HR is meant for every business leader and business growth means people growth”. 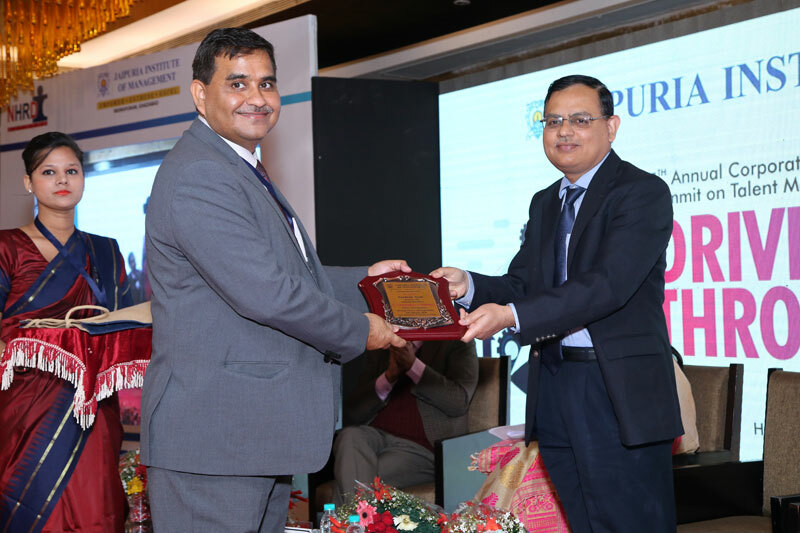 The inaugural session was concluded by Mr. Partho P Kar, MD, Brookes Enterprises. 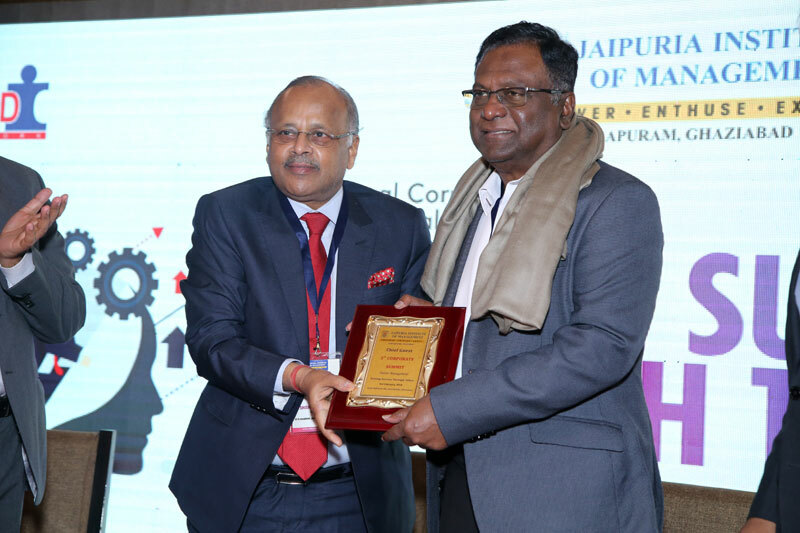 The first panel discussion was on the topic “HR Transformation: New Role of Artificial Intelligence”. 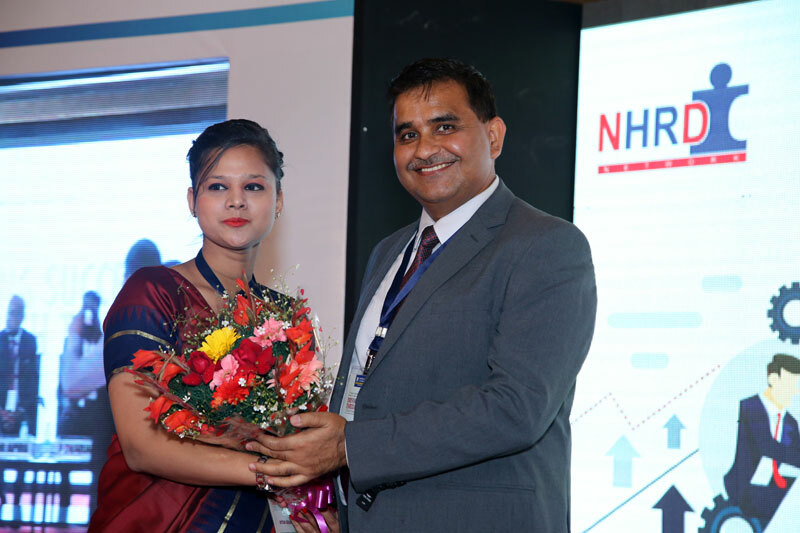 Mr. Neeraj Narang, ‎Director- HCM Product Strategy,Oracle India, demonstrated how Artificial Intelligence helps an employee to get success. 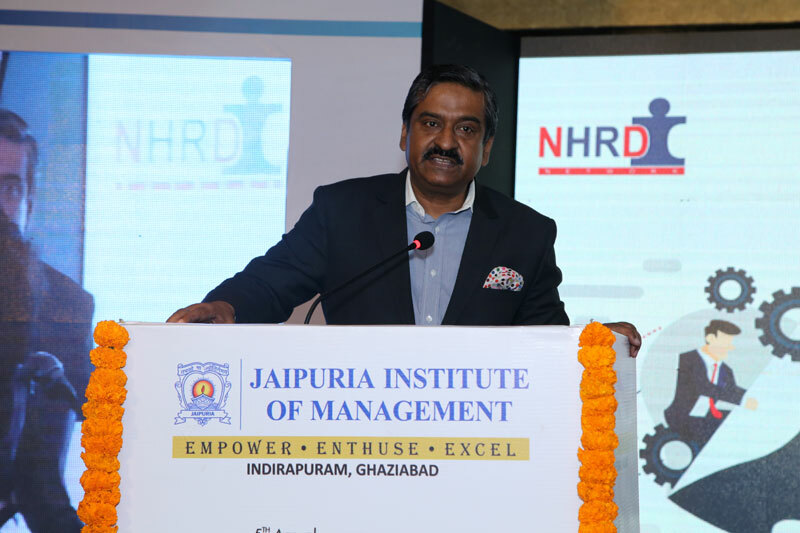 Mr. Dhananjay Singh, Director General, NHRD focused on technologies that can help to manage the workforce productivity and how AI help to transform employee experience. 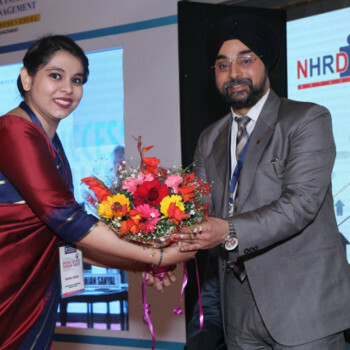 Ms. Kamalika Deka, Regional Head HR – North, JubliantFoodworks Ltd shared her views on artificial intelligence that lead HR capital group on the journey of digital transformation. 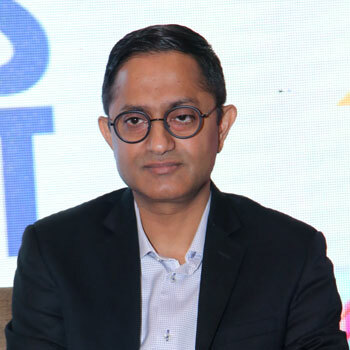 Mr. Sandeep Tyagi, Director –HR, Samsung Electronics focused on identifying new roles needed to fully leverage AI in HR. 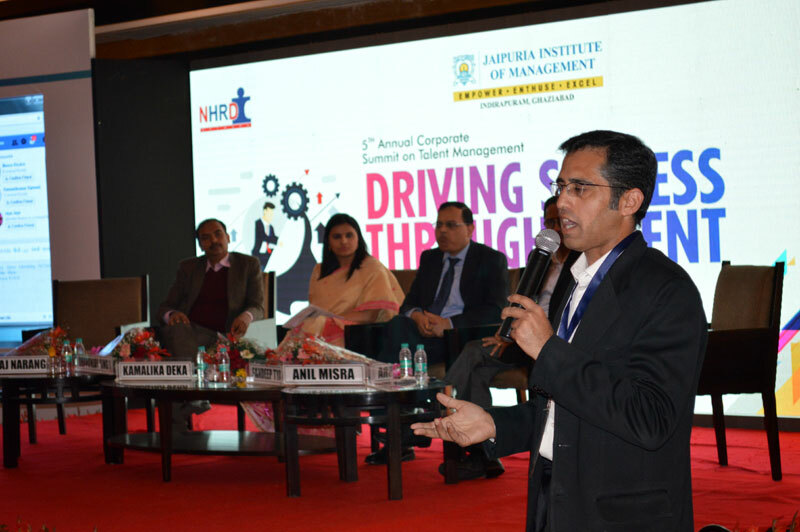 Mr. AnilMisra, Chief Human Resource Officer, Magicbricks.comfocused on skilled required to understand the power of AI and and Mr. N C Sharma, Director –HR, Country Inn & Suitesshared his professional experience on implications of implementing the technology. 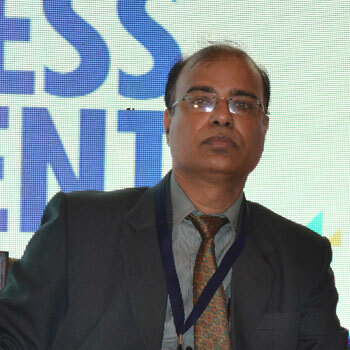 The second panel session was on the topic “Knowledge Management and adaptive organizational learning” whereby Mr. Pramod Kumar Mishra, GM –HR, Simplex Infrastructure focused on organizational routines that influences the knowledge management processes of talent acquisition, creation, utilization and sharing. 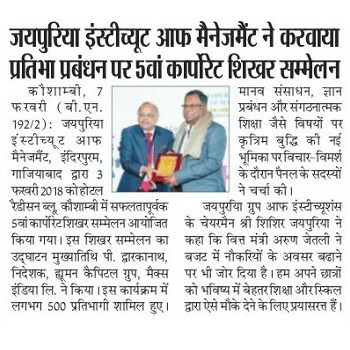 Mr. Harpreet Singh, Executive Vice President & Zonal Credit Head, Yes Bank stressed upon the importance of knowledge management and knowledge sharing. 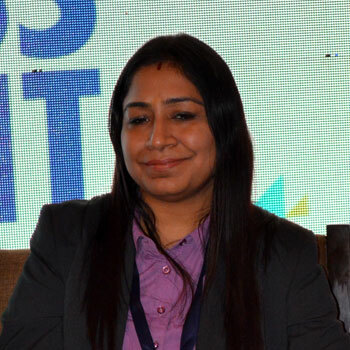 Ms. Binni Rai, GM –HR, Jabong said that learning organization is to create right culture among the knowledge worker. 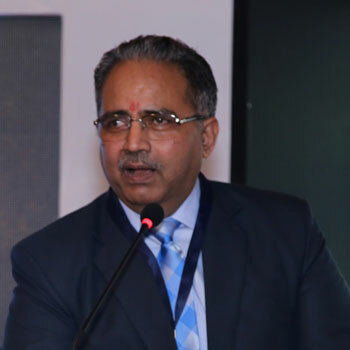 Mr. AnjanSanyal, GM – CSR, Power Grid Corporation of India Limited said that learning organization can be built through networks and creativity. 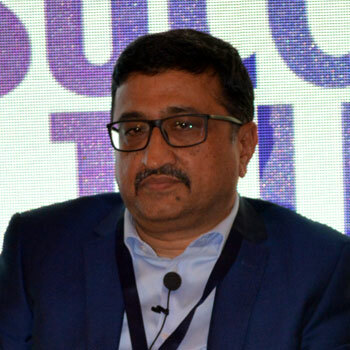 Mr. Rajesh Rathnam, Head Client Relationship & Operations, Leather SSC focused upon knowledge mapping that can be a technique to identify and fill the knowledge needs. 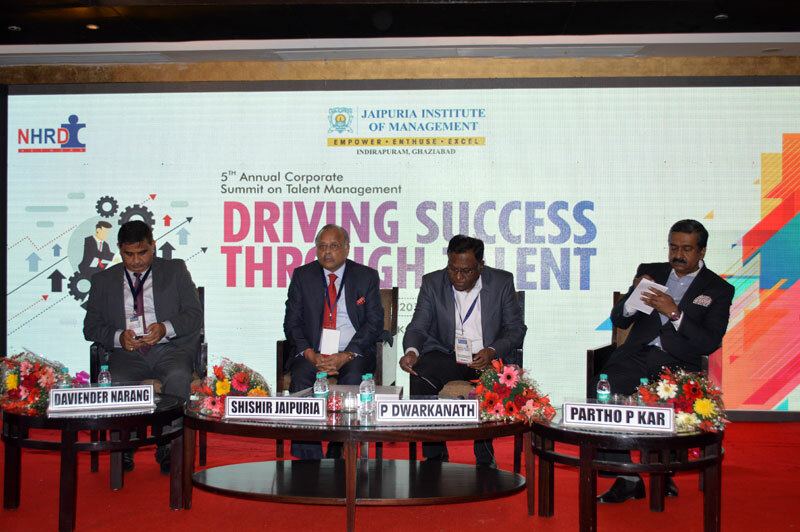 The third panel session was on the topic “Driving accountability for Managers: Tying Employee Engagement to Business strategy”. 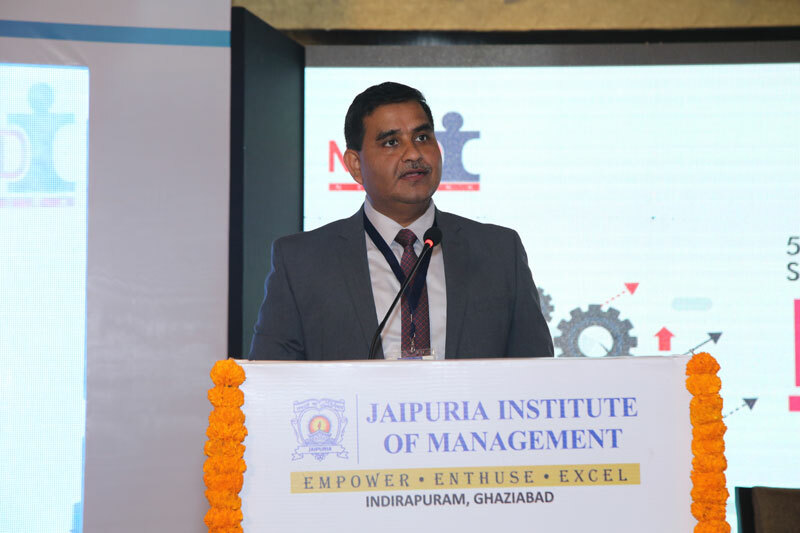 Mr. Prashant Sharma, Head Talent Management UFLEX Limited emphasized upon fundamentals of employee engagement. 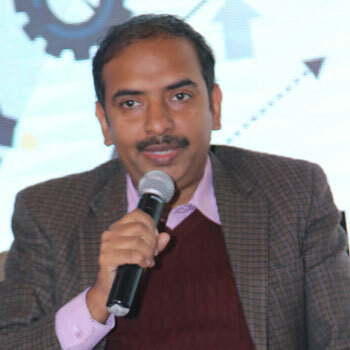 Mr. Rajnesh Khosla, Head Human Resources, LG Software India focused upon talent strategy for next generation employees. 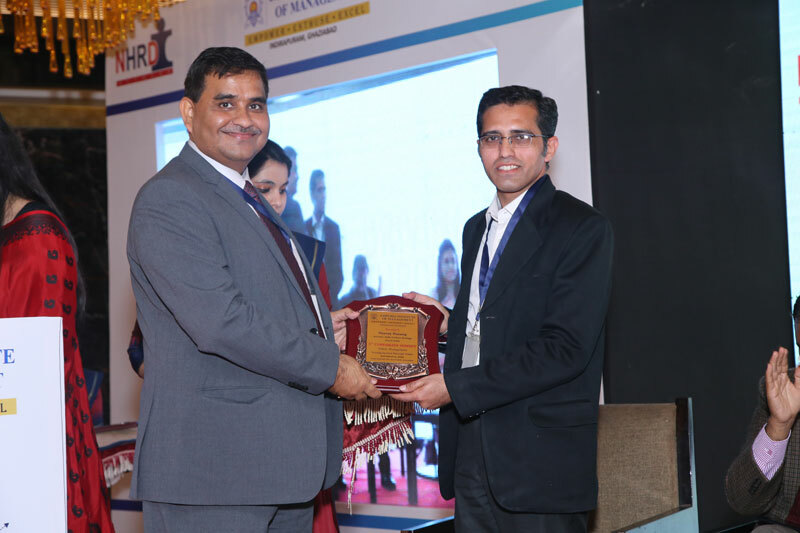 Mr. Rohit Saraf, Deputy VP- HR, RBL Bank Ltdshared his views on talent strategy to gain competitive advantage for business. 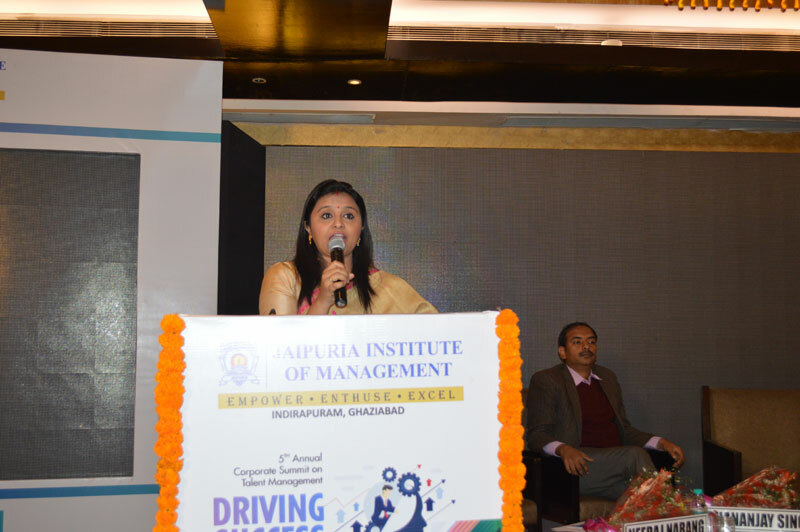 Ms. Seema Singh, GM-Sales & Marketing, New Holland Fiat India Pvt. 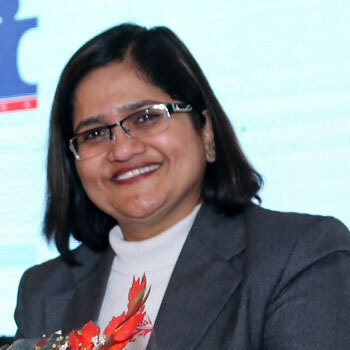 Ltd shared her experience to drive innovations, retention and productivity. 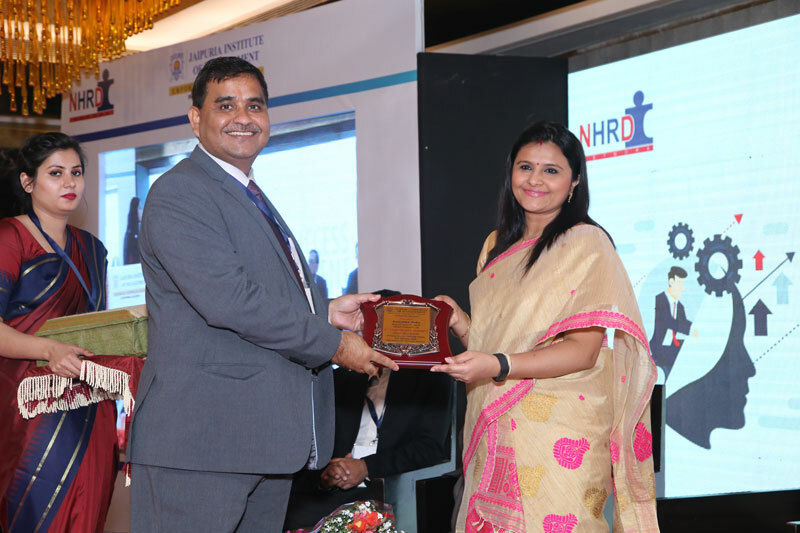 Ms. Kiran Bhatia Tandon, Head- Talent Acquisition, Stryker emphasized on engagement and retention of generation Y. Mr. VikasChoubey, VP- HR, Axis Bank shared his views on implementing employee engagement strategies. 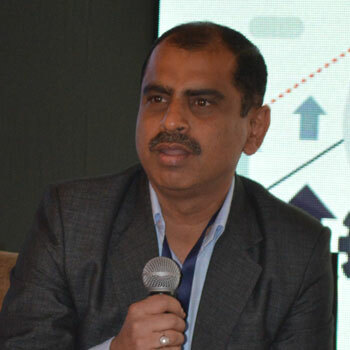 How Technologies help to manage the workforce productivity and how AI help to transform employee experience. 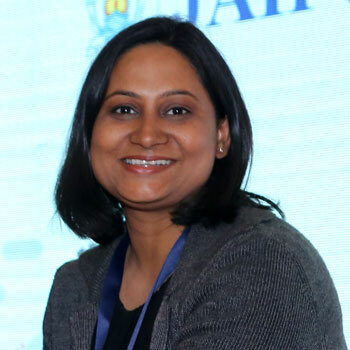 Kamalika Deka Regional Head HR – North Jubliant Foodworks Ltd.
How do organizational routines influence the knowledge management processes of talent acquisition, creation, utilization and sharing? 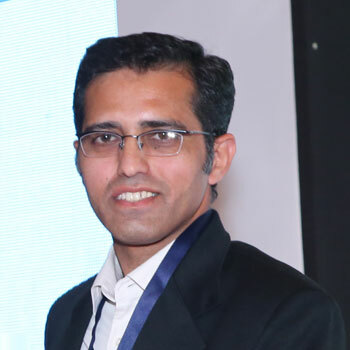 Knowledge Management and Knowledge Sharing: How to create right culture for developing habits and willingness of knowledge sharing among the knowledge worker. 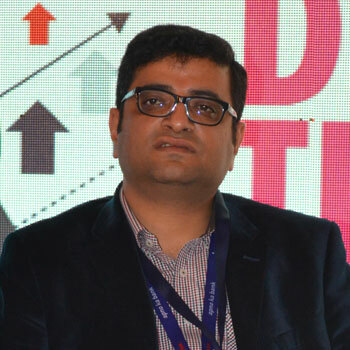 Knowledge mapping as a technique to identify and fill the knowledge needs or gaps. 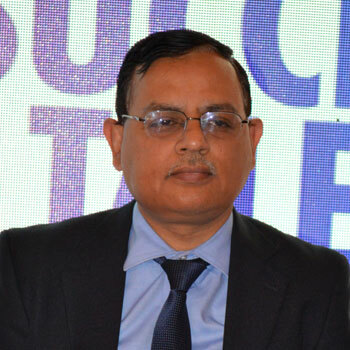 Understanding the fundamentals and implementing a strategy of employee engagement and interaction. 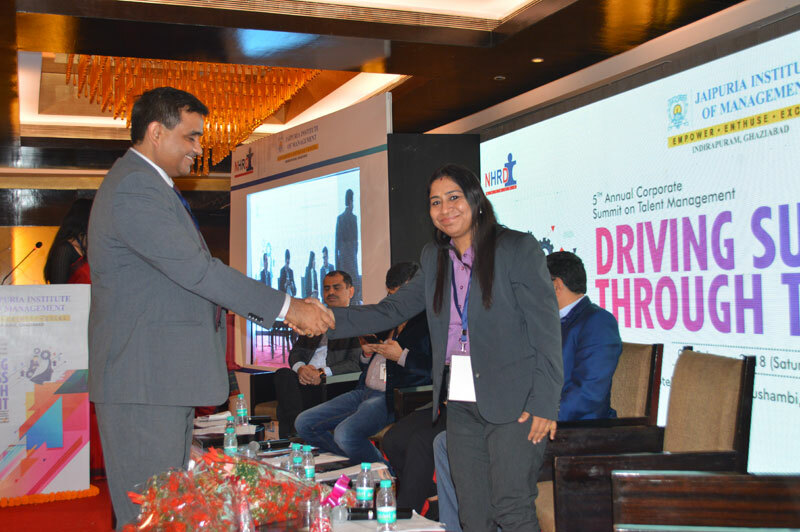 Rohit Saraf Deputy VP- HR RBL Bank Ltd.
Seema Singh GM-Sales & Marketing New Holland Fiat India Pvt. 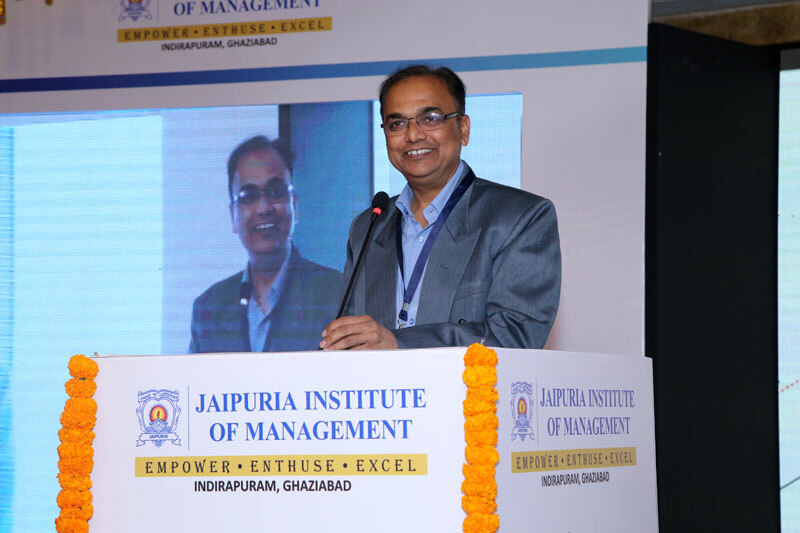 Ltd.
Prashant Sharma Head Talent Management UFLEX Limited Ltd.
An excellent opportunity for any MBA graduate to learn and understand issues of HR. 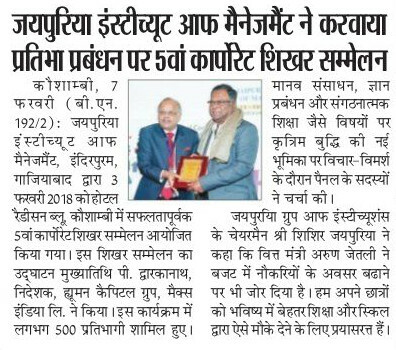 The summit has been really good. 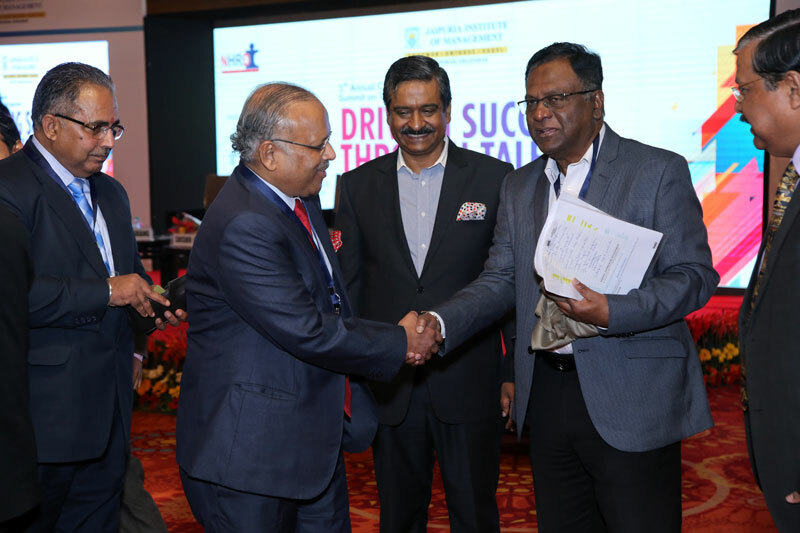 The quality of the speakers is exactly the kind of people we were hoping to meet. 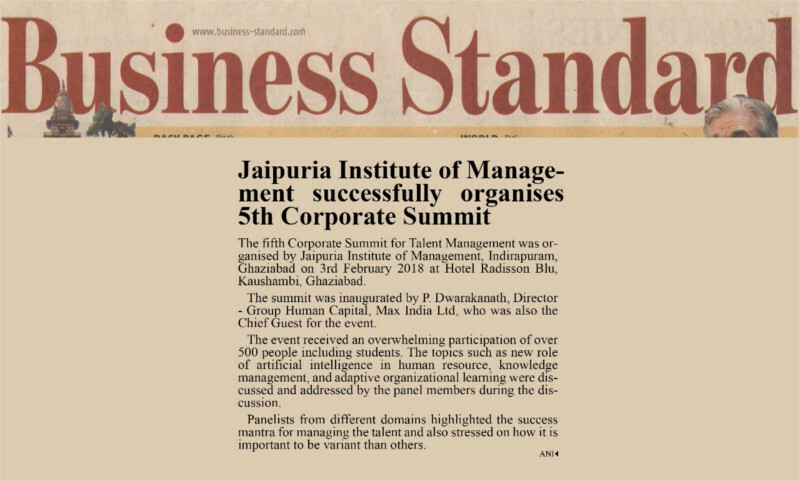 A highly value addition for HR professionals that exposes one to both best practice and innovation in the HR industry. 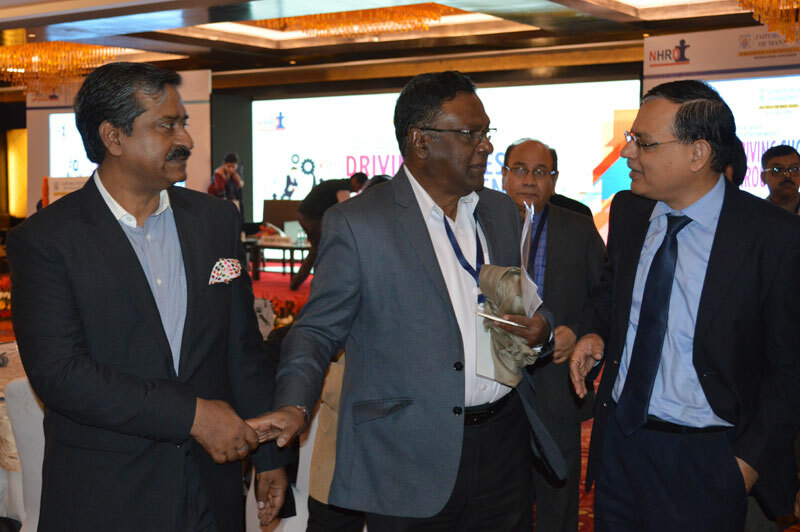 It makes one return home with a wide range of value add on & ideas to make a solid impact in the HR developmental process. 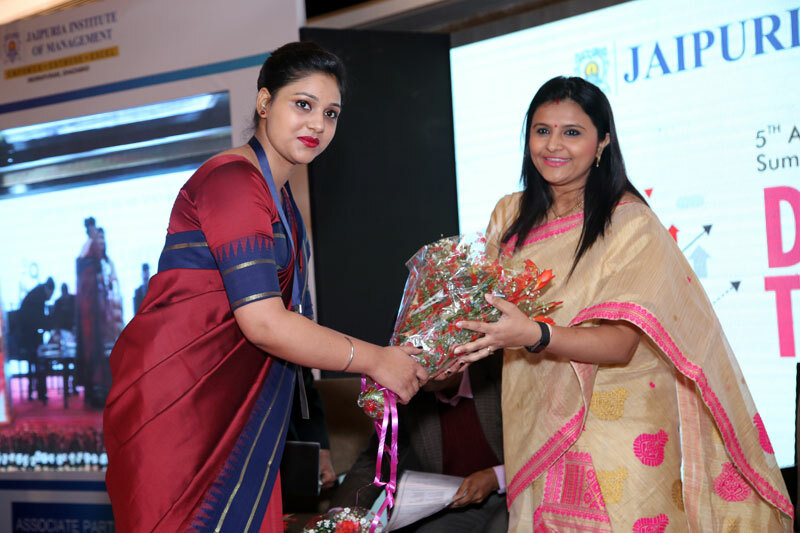 The event was really good and we managed to meet some key HR professionals and I'm sure it's going to be very helpful in our placement. 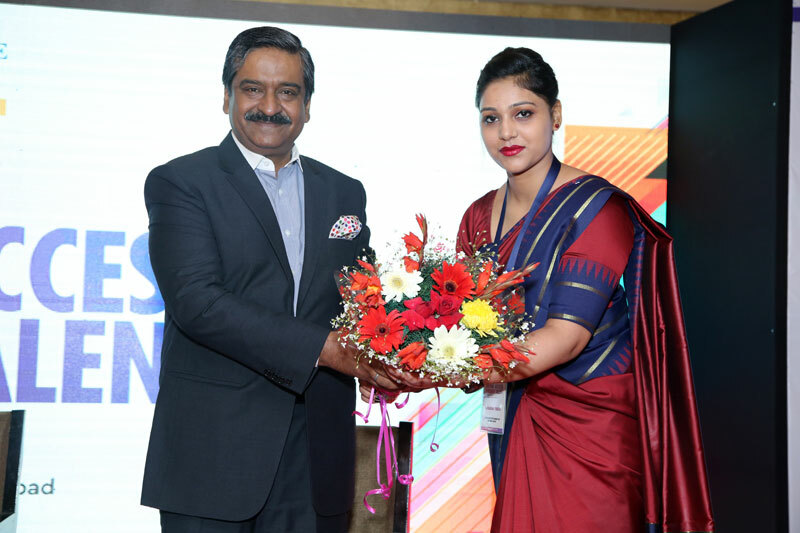 The event was really good and we managed to meet some key HR professionals and I’m sure it’s going to be very helpful in our placement. 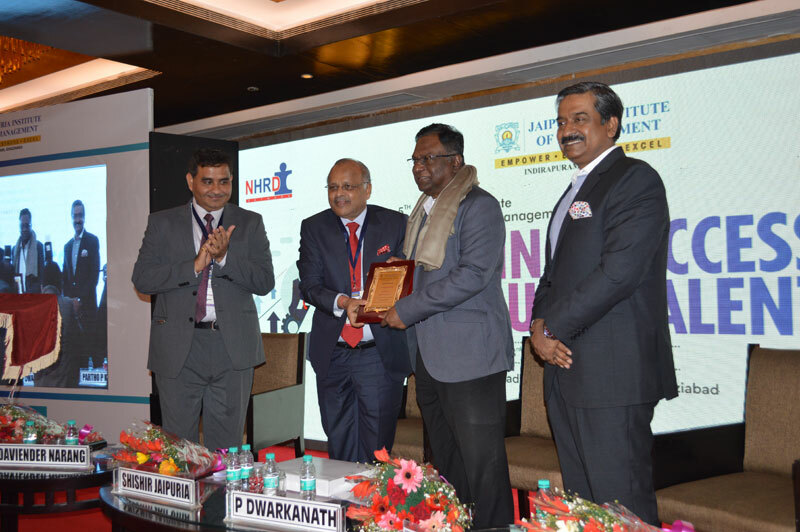 A great summit with lots of energising presenters and chances to network with other HR professionals. 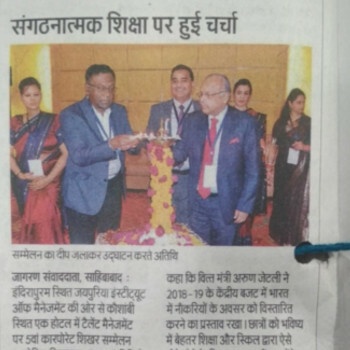 It was my pleasure to participate in this event, where I had the opportunity to network with HR professionals from different organizations. 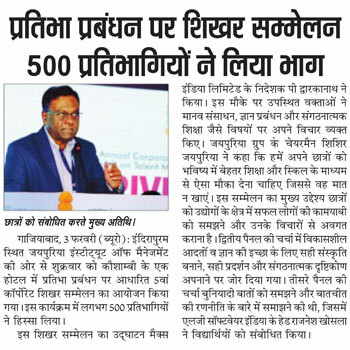 Worth attending!! 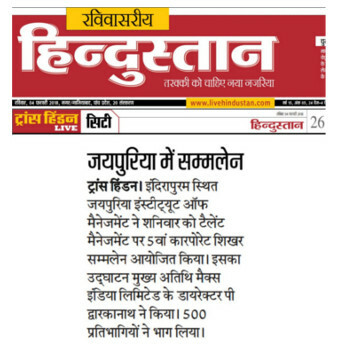 And very well organised taking into account the huge number of participants. 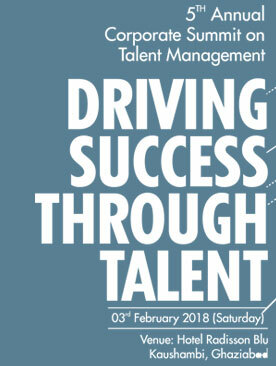 An excellent opportunity for HR professionals to tune into current strategic talent and leadership thinking. 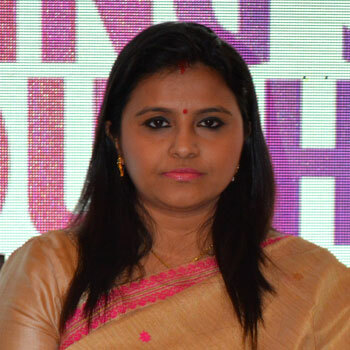 Found it very energising. 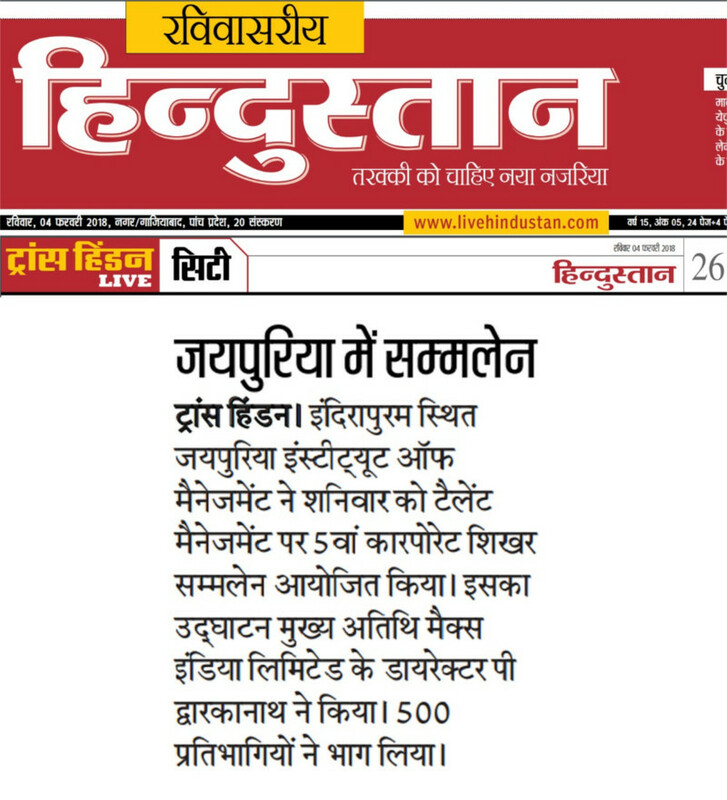 It is a wonderful opportunity to network. 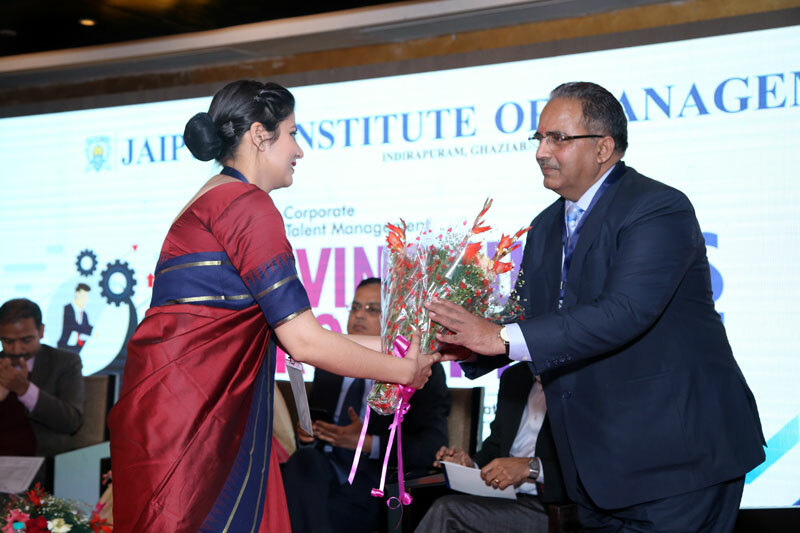 We have enhanced our brand awareness amongst key HR representatives of the corporate sector.